This came with a bulk load of sets i got from ebay and i cant find any info on it, anyone have any ideas? 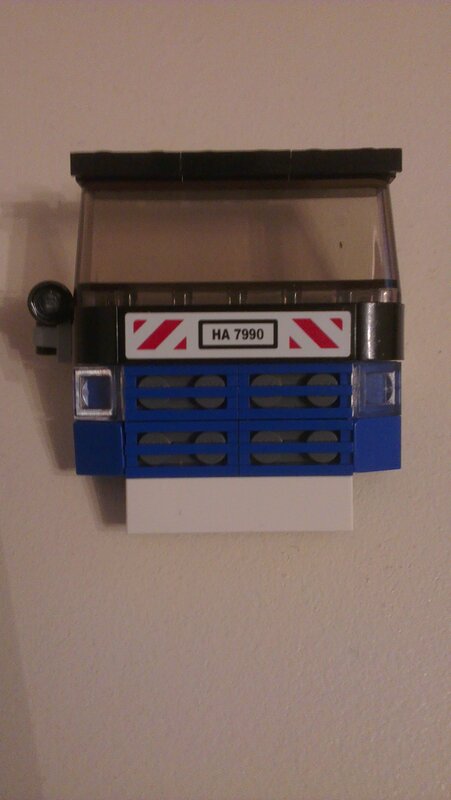 It's all upside down, but that's the front of Cement Mixer #7990. Hint: The big giveaway is the license plate sticker 7990, as is true of most city sets that have license plate stickers. That is a weird mish mash of the front to the #7990 cement mixer (2007). Shouldn't be one piece. Bingo! Thanks a lot, i had a black bag with loads of kits and no instructions and this one stumped me? as you said, its all upside down.